What Are The Punishments For Giving or Selling Alcohol to Minors in Charlotte, North Carolina? The attorneys of Browning & Long, PLLC frequently represent individuals under the age of 21 charged with consuming, possessing or purchasing alcohol or adults or minors charged with giving or selling alcohol to a person under the age of 21. Although these charges seem minor and often just result in the issuance of a citation rather than an arrest, these charges can result in a criminal conviction on your record and the revocation of your driver’s license. Without an expungement, a criminal conviction of an underage drinking can impact your future employment opportunities and your ability to gain admission into college. The former Mecklenburg County Assistant District Attorneys at Browning & Long, PLLC can help you avoid these stiff penalties by negotiating with the District Attorney’s Office to allow you to enter a deferred prosecution program, or if necessary, take your case to trial. Unlawful Activity: Pursuant to North Carolina G.S. 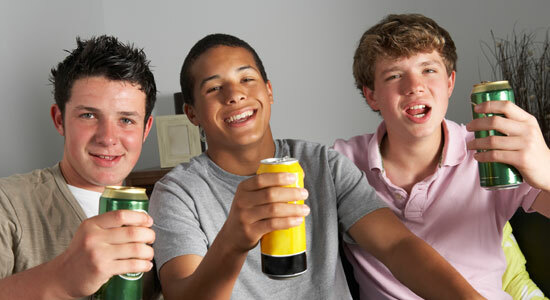 18B-302(b) it is unlawful for a person under the age of 21 to consume, possess, purchase or attempt to purchase alcohol. Severity of the Crime: The severity of the crime will depend on your age. If you are under the age of 19, possessing, consuming or purchasing will result in a class 1 misdemeanor, however, if the violation is by a person who is 19 or 20 years old the violation will be a class 3 misdemeanor. Class 1 Misdemeanor: An individual convicted of a Class 1 Misdemeanor can face a maximum punishment of 120 days in Jail. Class 3 Misdemeanor: An individual convicted of a Class 3 Misdemeanor can face a maximum punishment of 20 days in Jail. Loss of Driver’s License: If you are convicted of purchasing or attempting to purchase alcohol your driver’s license will be revoked for one year pursuant to G.S. 20-17.3. In addition to representing those charged with underage drinking, our attorneys often represent those charged with selling or giving alcohol to minors. These charges are more serious than underage drinking and can result in punishments that require up to 150 hours of community service. Unlawful Activity: Pursuant to North Carolina G.S. 18B-302(a) and (a1), it shall be unlawful for any person to sell or give alcohol to anyone under the age of 21. Punishment​: A violation of this law is a class 1 misdemeanor and if you do not receive an active sentence, jail time, there is a mandatory $250.00 fine and 25 hours of community service. If you receive a second conviction under G.S. 18B-302(a) or (a1) within 4 years from your first conviction and do not receive an active sentence, jail time, there is a mandatory $500.00 fine and 150 hours of community service. Lastly, if convicted of giving alcohol to someone under the age of 21, G.S. 18B-302(a1), your driver’s license will be revoked for one year pursuant to 20-17.3. Aider and Abettor Under the Age of 21: Pursuant to North Carolina G.S. 18B-302(c)(1) it is unlawful for a person under the age of 21 to aid or abet another person under the age of 21 in obtaining, consuming, or purchasing alcohol or to aid and abet someone that sells or gives alcohol to a person under the age of 21. A violation of this statue will result in a class 2 misdemeanor and a revocation of your driver’s license for one year. Aider and Abettor 21 or Older: Pursuant to North Carolina G.S. 18B-302(c)(2) it is a class 1 misdemeanor to for a person who is 21 or older to aid or abet another person under the age of 21 in obtaining, consuming, or purchasing alcohol or to aid and abet someone that sells or gives alcohol to a person under the age of 21. A violation of this statue will result in a class 1 misdemeanor and a revocation of your driver’s license for one year. Additionally, if you do not receive an active sentence jail, the court most impose a $500.00 fine and 25 hours community service. If one receive a second conviction under this statue within four years of the first conviction, the Judge must impose of $1000.00 fine and 150 hours of community service. Take your case to trial: If you are ineligible for the class our attorneys or not afraid to protect your rights in court. While Howard and Todd served as Mecklenburg County Assistant District Attorneys they prosecuted thousands of underage drinking violations and know how to try these cases in the courtroom if necessary. Allow you to Drive: If you are convicted of purchasing alcohol under North Carolina G.S. 18B-302(b) your License will be suspended. Our Attorneys can get you a limited driving privilege to allow you to drive for work, school, household maintenance and medical purposes during the period of your suspension. Although these charges seem minor, if convicted, you face serious consequences. Our attorneys at Browning & Long, PLLC will thoroughly review your case and can help you avoid an underage drinking criminal conviction from going on your record.